Humanity, books, travel, and trivia, with a sprinkling of humor. 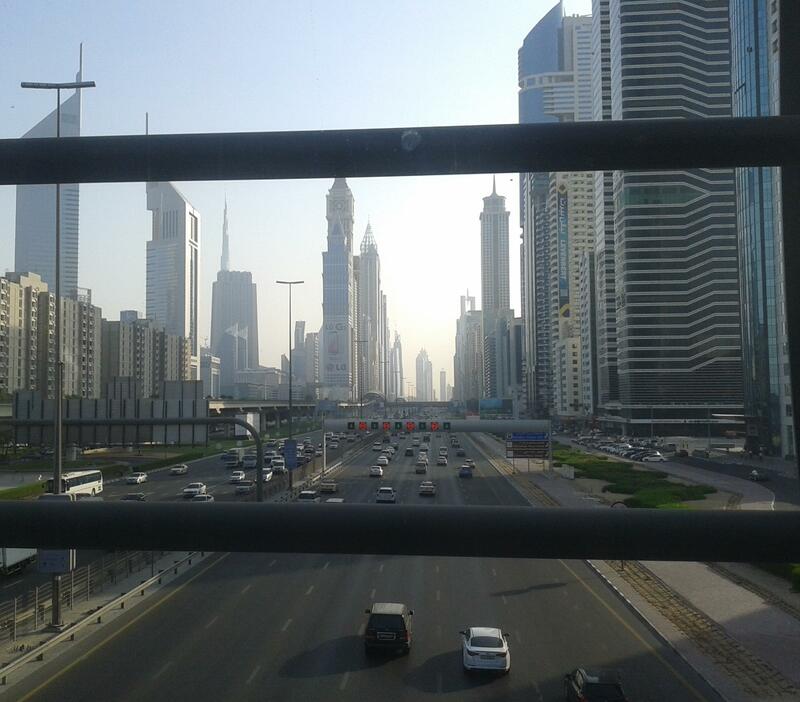 Sheikh Zayed road as seen from an A/C walkway, Dubai. Fountain show at Dubai mall. When my passport expired in Feb 2013 without a single entry, I knew it was time for action. I renewed my passport, picked an international destination and applied for Visa. And then, as winter began knocking on the doors, I left the Indian subcontinent, crossed the Arabian sea and headed for the deserts of the Middle East. Dubai, UAE seemed like a good destination to visit since it is one of the most tourist-friendly cities with the lowest crime rates in the world. And also because I have a cousin working there (well, most of the Indians will have a relative working in the Middle East). We reached Dubai at dawn and then, walked for nearly an hour through the humongous airport terminal 3 before finally catching the driver-less metro train to my cousin’s place. The 2 challenges I immediately faced were – crossing roads and too much order. “Indian road-crossing” requires skills ranging from high levels of mental alertness to extreme physical flexibility and speed. When we reached a Dubai zebra crossing, it felt really good to have the large SUVs, normally swishing at 100 kmph on the Sheikh Zayed road, stop and wait for us to cross. Too much order can sometimes be unnerving. In India, to reach somewhere, you ask for directions. Not just to 1 person but at least 3-5 people and average out the distance or direction. 🙂 In UAE, like most of the developed countries, you use signboards. But occasionally, with so much order, I got all the more confused! A quick lunch in the nearby Mall of Emirates and then we went to GITEX, a big electronics goods fair. Most of the sales people were either Indians or Filipinos. 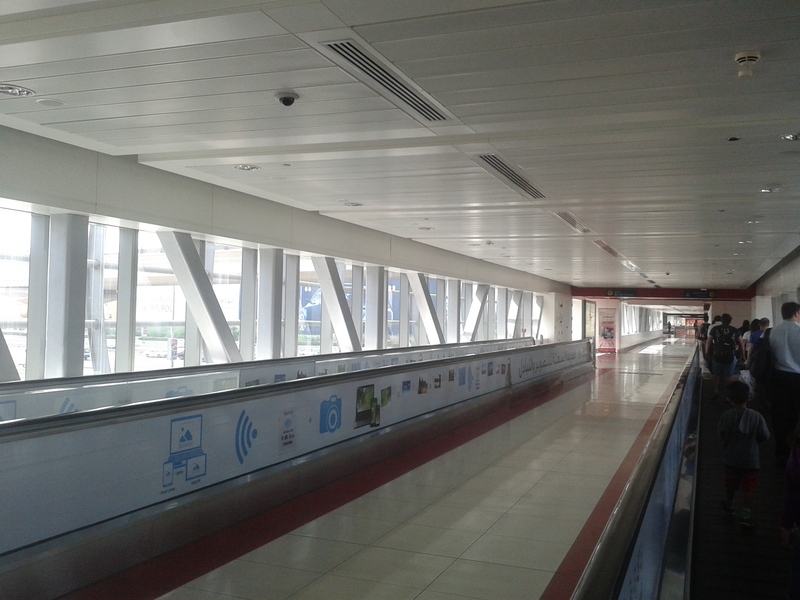 All malls are connected to the metro stations through air-conditioned walkways. To be truly appreciated are tracks for blind people and easy movement for wheelchairs everywhere. Once you come out of the A/C, the heat and humidity is unbearable. The plight of workers involved in the construction of Dubai’s infrastructural marvels and keeping the city so clean is something to be thought about. 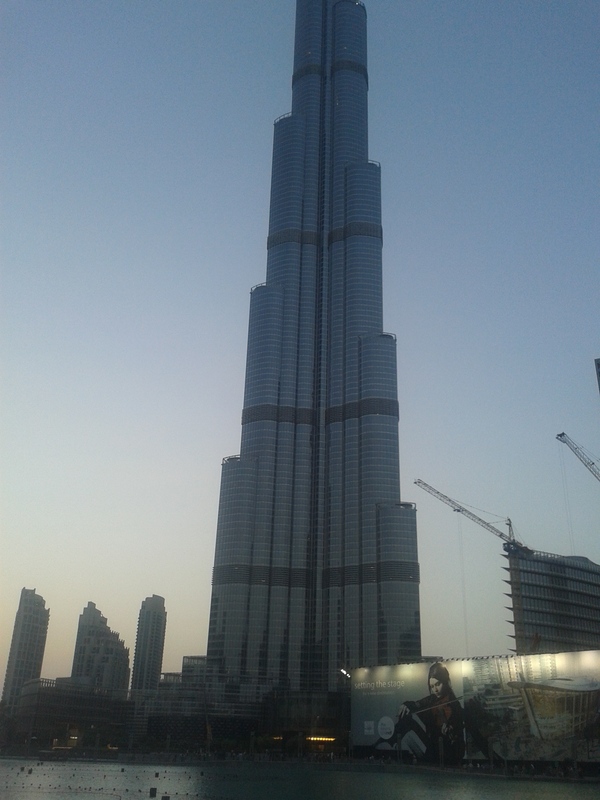 The next stop was Dubai Mall, the largest mall in the world. I should say, I definitely agree. We must have walked 15 kms inside the mall itself! After roaming for an hour or so and seeing people from more nationalities than I had ever known, we checked out the fountain show on the artificial lake at the base of the world’s tallest building, Burj Khalifa. Followed by dinner at Chatori Gali, an Indian restaurant. Returning back to my cousin’s place, we made a rough plan to explore Dubai for the next 4 days and collapsed in our beds completely exhausted. Read part 2 and 3 here and here. 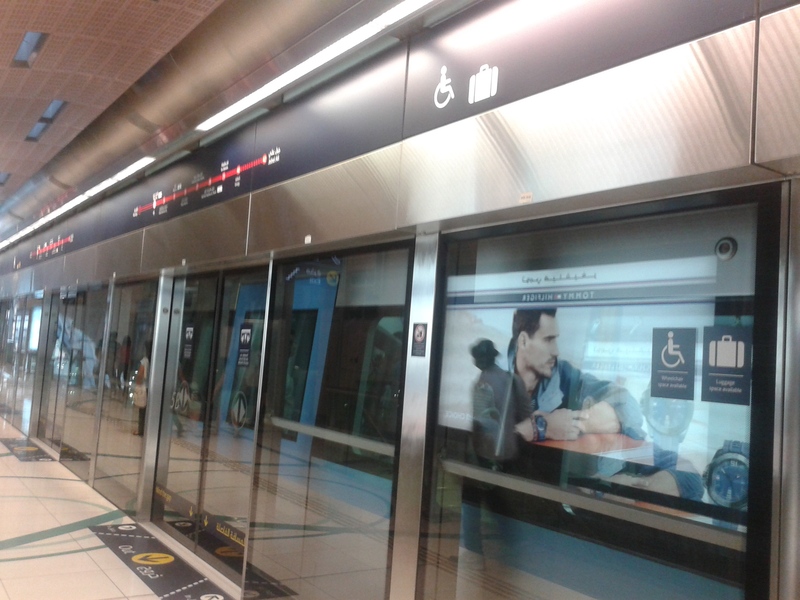 At a Dubai metro station. A/C walkway to Dubai mall.